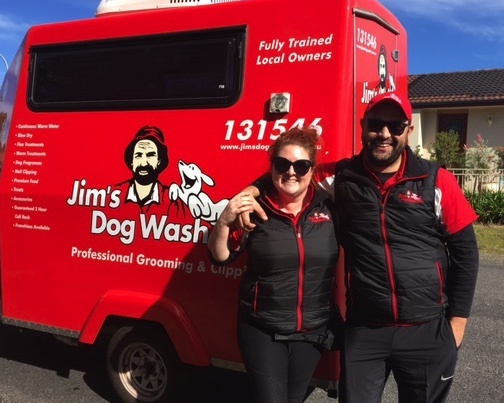 Hi, we are Kerrie and Paul and we are your local Jim’s dog grooming franchisee’s. We live local and we love looking after all of the locals families, call us now 131-546. Allow us to show you how passionate we are for looking after our clients, you won’t be disappointed. Call us now on 131-546 and we can provide you with a free quote, keeping your dog always looking great is what we love.